Light Up the Night with "Twilight Pixie Glide"! 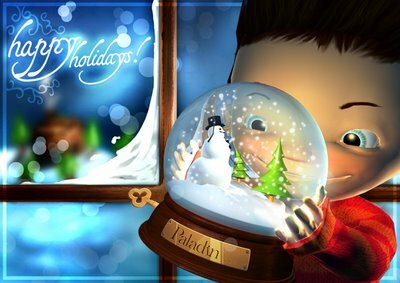 And of course, I do wish you a merry christmas as well and all the best for 2009! Yesterday I blogged (again) about the beaty of IBM's virtual Forbidden City from a historic and educational point of view, rather than it being technologically advanced. Today, I'd like to take you on a tour to a different historic setting: The Monastery of Dordrecht. The Monastery of Dordrecht is not a fullgrown virtual world or a game, rather a simulation of one of the key locations in Dutch history. The Kingdom of the Netherlands started in 1572 in Dordrecht. This historical fact formed the basis for an exposition in late 2007. The city archives organisation, DiEP, inivted Paladin Studios to create an interactive 3D visualisation of the so called ‘Court of Dordrecht’. The goal was to recreate the old monastery at the site, of which the only remains are some of the foundations, and show the changes of the site over the centuries. The result is an interactive visualization which provides historical insight and the experience of “being there” in the late Middle Ages. The Monastery of Dordrecht has been developed by a Dutch game company, Paladin Studios. Its managing director Dylan Nagel has a backround in Archeology and it shows in the level of detail of this simulation. The final simulation has excellent graphics and wonderfull lighting, small wonder that it ended up as Quest 3D's Award winner in the 2008 competition. The application starts with a short intro with singing monks in the background. When the intro is finished the user can navigate trough the monastery and its courtyard with a single click navigation system. The lighting creates subtle accents of sunlight and shadow. The 'gimmick' in this presentation is that the user can travel through time by using buttons that pop up at the bottom of the screen. When the user clicks in the time line the scene changes to different situations in time. As I said, it's a simulation, not a world. You can't walk through this with an avatar, which is a pity, although it's rather easy to navigate. Another feature is the bird's eye view that allows the user to have several overhead perspectives of the building. In stead of using the mouse to drag the perspective it uses a fixed camera path which is easily controlled using two buttons on the left and right side of the screen. Without a doubt this presentation would work very well with a touch screen interface, even for users that have little experience with navigating in a 3D environment. The polished look and feel, the excellent use of lighting and surprisingly simple user interface made the jury decide to make this presentation this year's best entry. 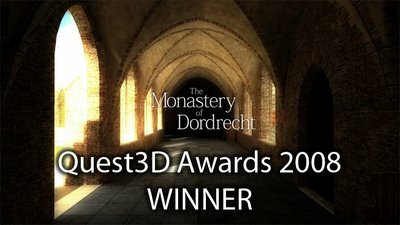 When looking at the graphics, the Monastery of Dordrecht is a winner as a simulation. 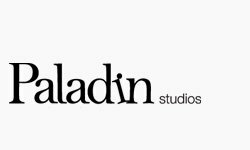 The next step I would love Paladin Studios to take is to make it a multiuser environment so we for instance could reenact the Dutch declaration of independence (1572) or the synod of Dordrecht (1618/1619), which once again makes you wonder about standards in 3D environments and interoperability. When I'm teaching history, I'd like to take my pupils along with me to the Forbidden City as well as the Monastery of Dordrecht without having to register again and create new avatars. Quotes and images from the Paladin Studios Portfolio and Quest 3D 2008 Award website.